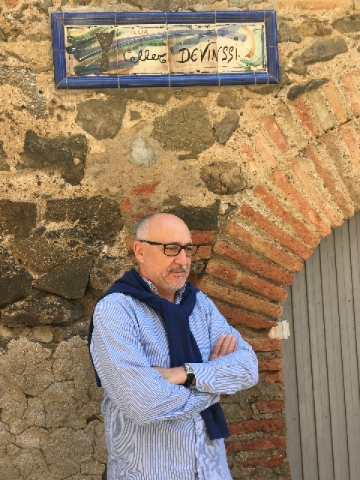 There is a wine making genius, Josep Roca, founder of Devinssi Winery, a small, but hugely, important vineyard in the Les Planes estate, located in Gratallops, the center of Priorat, in Spain’s Catalonia region. 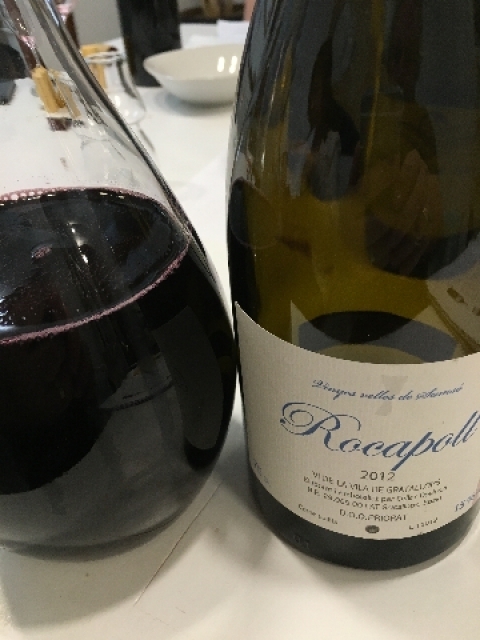 Roca is well known throughout Spain, as he has been in the wine trade for twenty-five years. He has an MS in both Viticulture and Oenology. Grenache and Carignan comprised the first harvest. Opportunities arose and in 2005, another estate was acquired with old vine Carignan grapes. Seeking small acquisitions in the Gratallops area has been a long term goal of Josep Roca. To create a link between his customers and the winery Joseph and his vineyard are part of the ‘Adopt A Grapevine’ concept. The program is a direct link that joins wine lovers with their favorite vineyards, such as Devinssi. Essentially, the ‘Adopt A Grapevine’ theory is to familiarize the consumer with the region and vintner by offering grapevines for adoption. 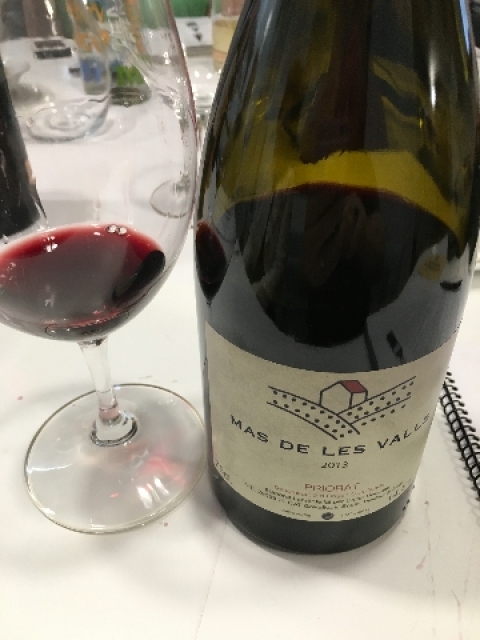 The Devinssi Winery program is a smart way for the consumer to adopt specific vines, visit the winery and stroke the grapes, while saving on the DOC Priorat purchases. In fact, the consumer can get customized labels on the bottles that represent the vines that were adopted. It’s a way of making a contribution to the cultivation of the vines, while receiving a discounted price for the purchase of the custom labeled wine. If you join the ‘Adopt A Grapevine’ program you will receive an adoption certificate, and adopter ID and the right to purchase wine. The vineyards are located in the village of Gratallops. The ‘Adopt A Grapevine’ program is a smart way to do something unconventional. The program allows you the chance to see your vines grow, take part in winery chores and to get to know the local winemaking community, specifically Devinssi. The wines that Josep Roca makes are Penin rated, small production and highly sought after by collectors. My visit to the headquarters was a day to remember. Josep Roca is a soft spoken professional that invited me into his house to sample many of the wines he produces. The Carignan grape shines with expression throughout as this spicy, mineral-laden, velvety wine gains character from its own yeast aged in Allier oak casks. The intensity and balance of this wine will only grow as it ages. This pale gold, white wine, made from the Pedro Ximenez and white Grenache grapes explodes with intensity of smoky acidity in the palate, while a lingering herbal composite of flavors engulfs your mid-palate. Aged three months in 225 liter French oak casks, then in the bottle, this unique white wine is one of my all time favorites. Aged eight months in French and American oak casks, this fragrant Garnacha, Carignan and Cabernet Sauvignon mix emphasizes a fruity cherry jam flavor with undertones of vanilla beans and sweet, dried, intense sugary figs. This special wine is aged for 18 months in French oak barrels. Made entirely from a mixture of Red Garnacha, Carignan and Cabernet Sauvignon grapes, this aromatic, highly-structured wine evokes the brilliance of the winemaker, Josep Roca. The wines of Devinssi Winery are all specially handcrafted and made to be appreciated by all wine lovers who are looking for that special wine.